In the grocery store the other day, I spotted this purple concoction off the the side on an end-cap for temporary selections, meaning that it was some sort of promotional material or temporary sales item that wasn't meant to last long enough to give it a proper shelf. 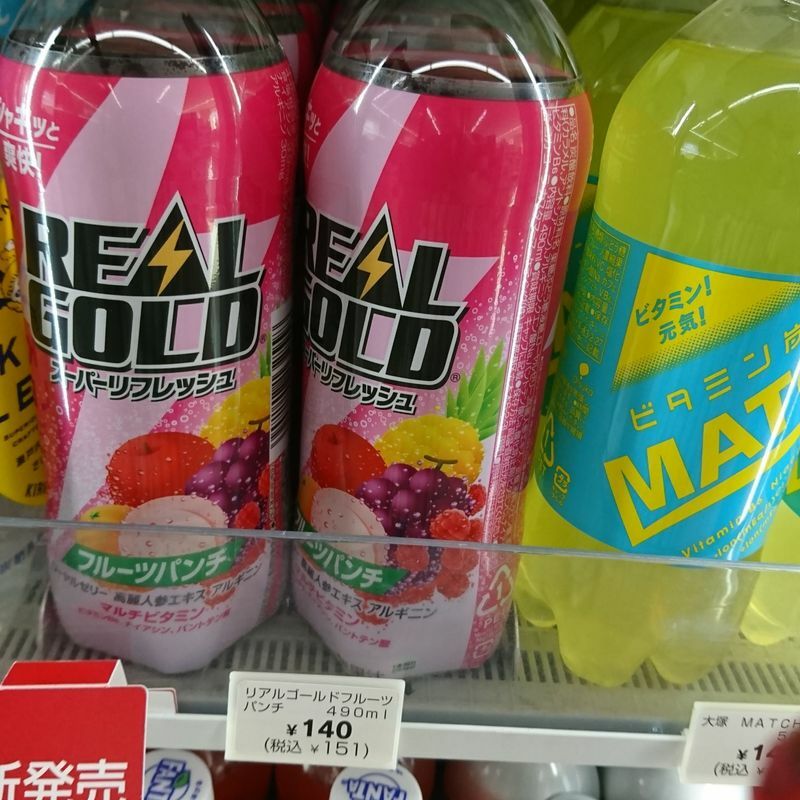 Back in 2008, when I moved to a small mountain town in central Japan, red bull did not seem to exist so it was the original Real Gold beverage that I bought in the vending machine across from my work place when I was in need of energizing during a long day of teaching. While I have fond memories of the lightly flavored, vitamin infused drink in its small metal can, I no longer go out of my way for it as my energy now comes from coffee. This new option sounded promising though, so I took the chance when I later found it at a 7-11. 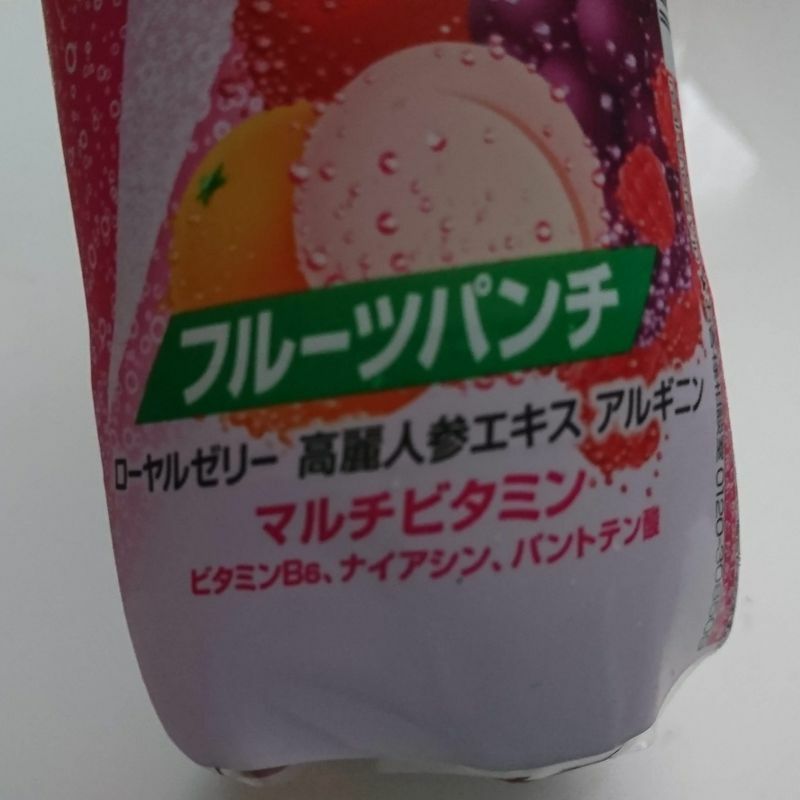 As you can see on the label, it is actually meant to be more of a fruit punch flavored beverage, but with enough berry related action to give it a more well-rounded flavor than other carbonated fruit punch drinks. Mentally, I was comparing it to Hawaiian Punch, and this comes off more sophisticated, if that can be said for a carbonated beverage. The front label also details the health benefits including vitamin B6, royal jelly, pantothen (also known as vitamin B5, an essential nutrient), niacin (a form of vitamin B3), ginseng extract, and algin, (a chemical derived from brown seaweed, known to lower cholesterol levels and reduce the amount of heavy chemicals in the body). Algin is frequently found in medications and now, also in soda. 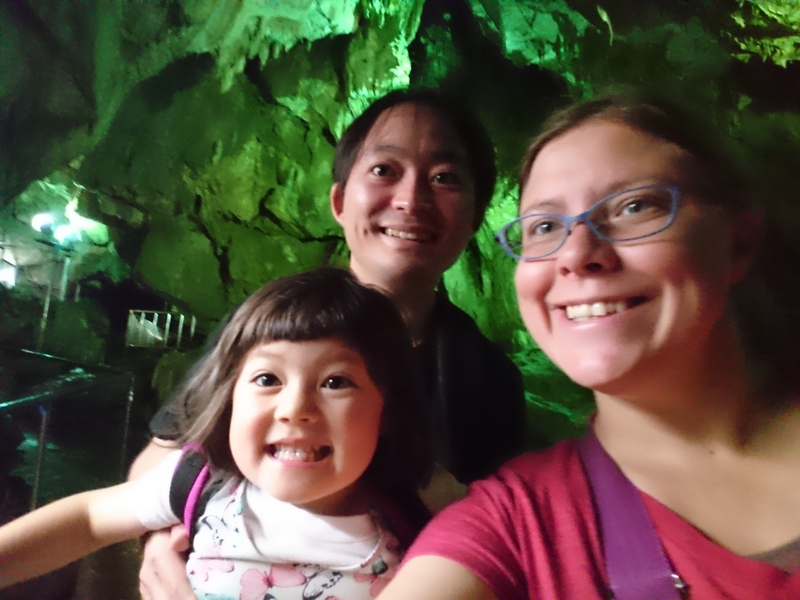 If you're thinking to yourself, "That sounds great! I need to lower the amount of heavy chemicals in my body while drinking a sophisticated fruit punch!" you might want to think again if you're also counting calories. 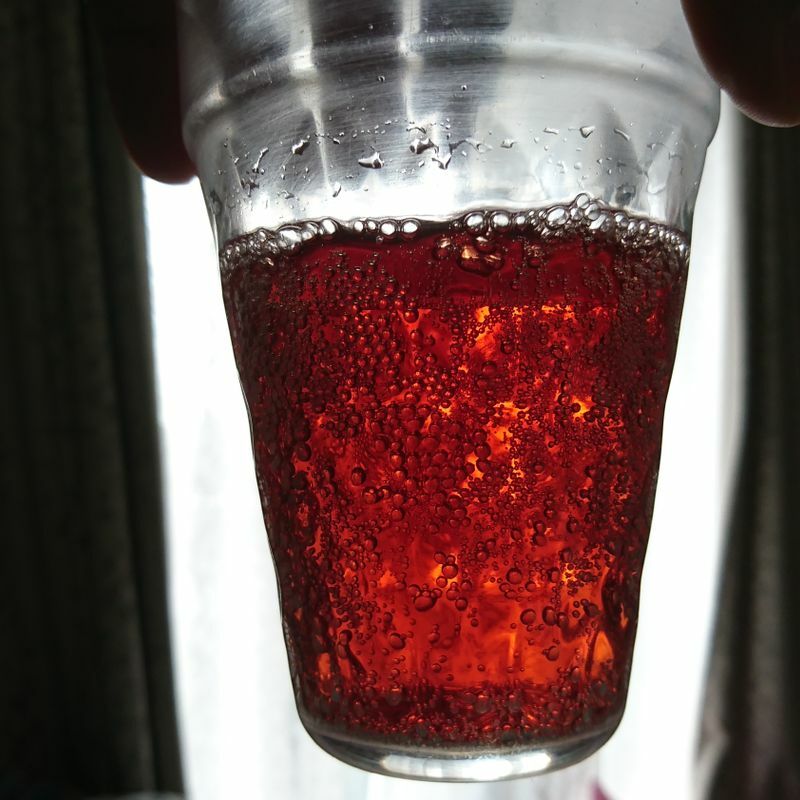 At 44 kilo-calories per 100 milliliters, this drink is just as sugary as Dr Pepper (also 44kcal per 100mL) and only slightly less than Coca Cola (45 kcal per 100 mL). 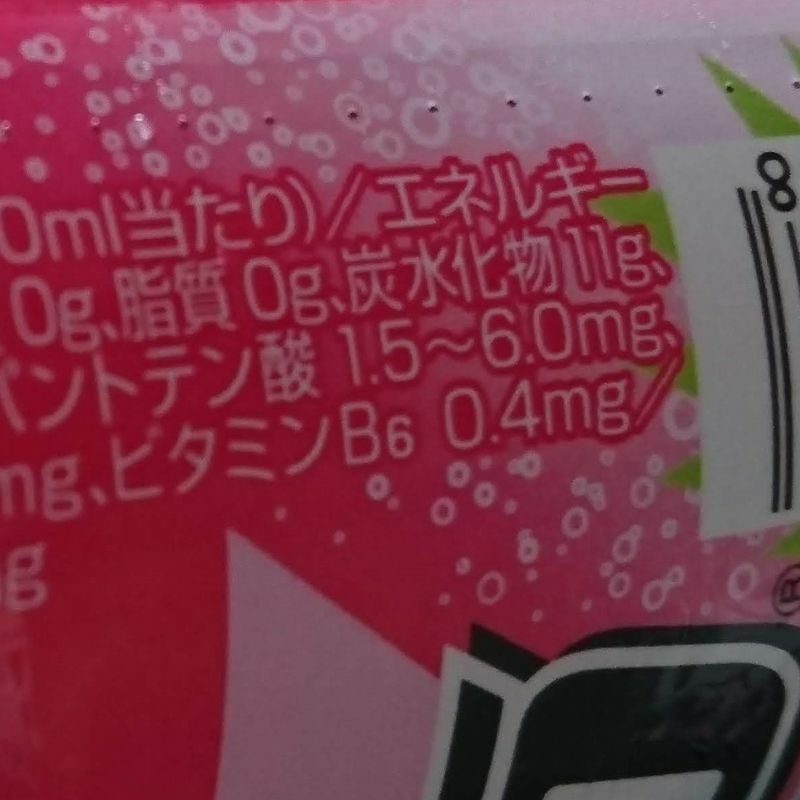 That said, it isn't a bad drink if you're in the mood for a nutrient-enriched soda, and the flavor has much improved from the previous blend.